Small-sided Games Rules and Regs. Keep in mind as you explore this resource, what you expect your part-time referee to know about your (most likely, your child’s) game. These rule modifications were made with the intent to give players more touches on the ball, their safety and playing time. Please remember the intent of these rules and your conduct, especially toward referees. Confer with the referees on the details on the rules for small-sided games, in particular play-out/build-out lines, use of the head, retakes of throw ins, direct and indirect kicks, kicks from the mark (penalty kicks), length of each play period. 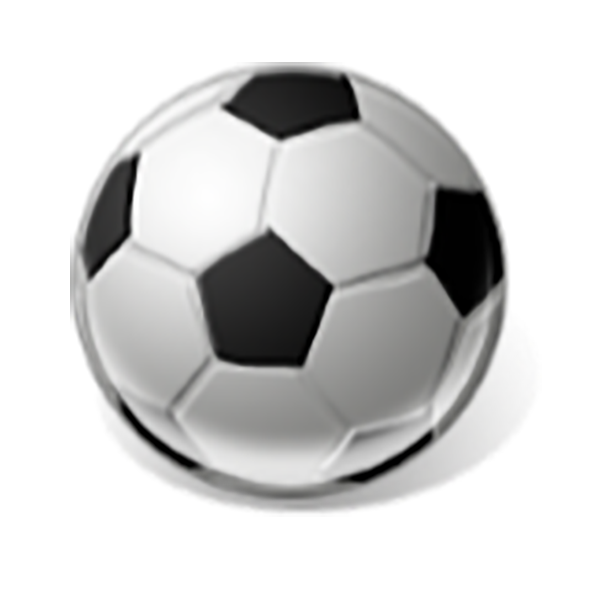 The foundational rules of soccer are the FIFA Laws of the Game. 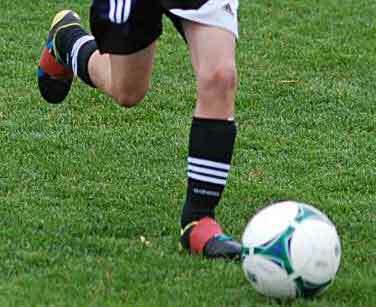 Modifications for younger ages are in response to mandates and recommendations from the USSF, US Youth Soccer, Washington Youth Soccer, and Seattle Youth Soccer Association. Hillwood has made its own modifications at some ages, based on the sizes of the fields and goals available to us. 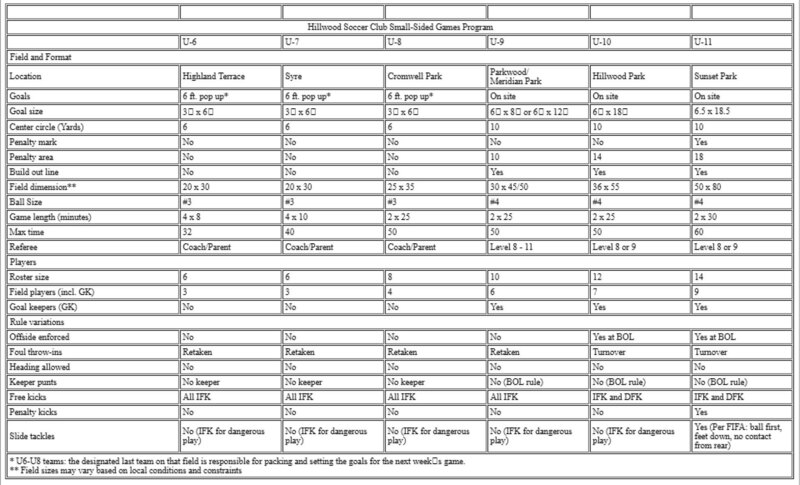 The following table summarizes the major modifications that Hillwood uses. From U6 through U9, Hillwood conducts its own in-house league. The modifications are based on US Youth's small-sided games manual, historical WYS and SYSA modifications, plus some local Hillwood changes. At U10 and above, SYSA conducts the league. For convenience of our coaches in planning the transition to SYSA play, we have included U10 and U11 in the chart, but mostly for understanding our local field configurations. Coaches of teams U10 and older should look to the SYSA web site for the most authoritative reference. The following references might be useful. However, if any of this information conflicts with the table above, consider the table to be authoritative for Hillwood U6-U9 in-house matches.